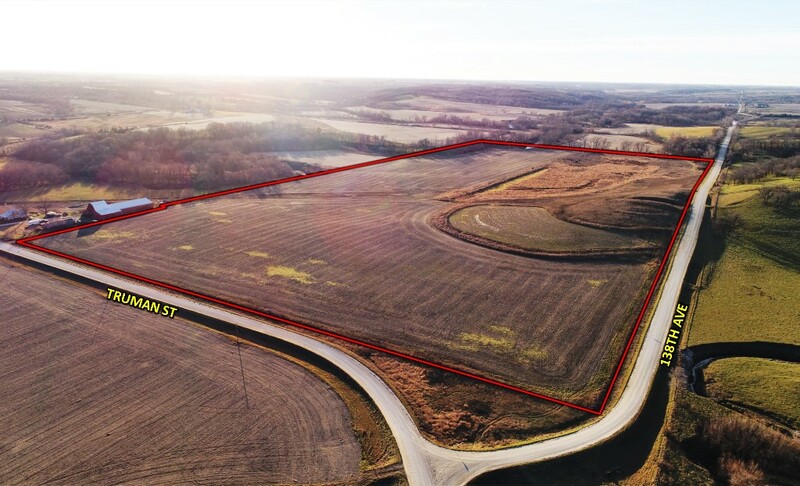 Offering 78.78 acres m/l of productive farmland in southern Warren County, Iowa. 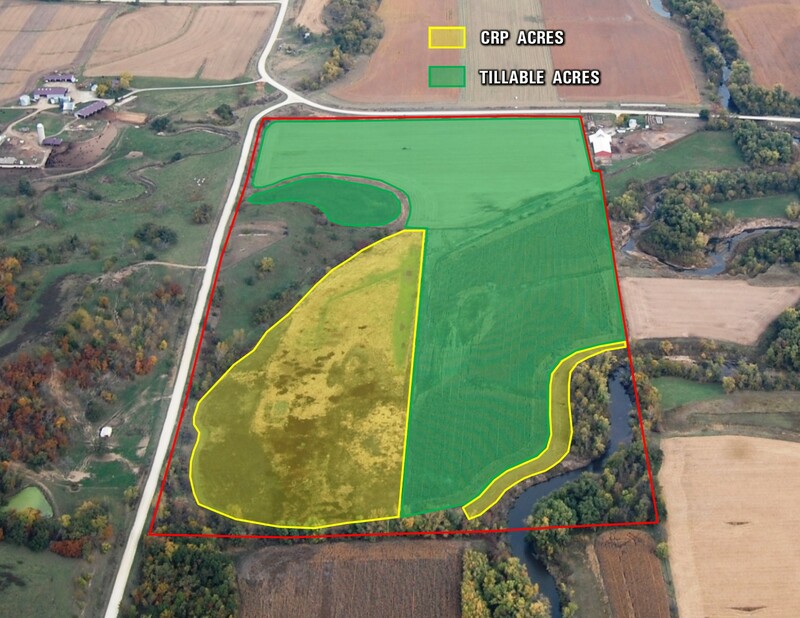 Great combination farm with crop acres, CRP, timber, and a creek. Farm includes approximately 42.8 FSA tillable acres with a CSR of 77.2 (CSR2 of 77.4). Primary tillable soil types on the tillable acres include Colo and Nelvin silty clay loam. In addition, the farm includes approximately 12,342 linear feet of existing drainage tile. See Tile Map for approximate locations. Land also includes 21.8 acres enrolled in CRP paying $4,940.43 annually and expiring in 2019 and 2020. See CRP information table on Listing Brochure for details. Wetlands Determination has been completed on the CRP fields - both of these fields were determined Prior Converted Cropland and/or Non Wetland meaning they can be farmed when the CRP expires. These fields can also be tiled. The Wetland Determination documentation can be found in the Attachments section. Balance of property is in timber, pasture, and grass waterways with access to Otter Creek in the southeast corner. Located approximately two miles west of Liberty Center in Sections 18 and 19 of Liberty Township. The SE ¼ of the SE ¼ of Section 18 and the NE ¼ of the NE ¼ of Section 19, Township 74 N, Range 23 W in Warren County, IA. Exact legal description to be taken from abstract. 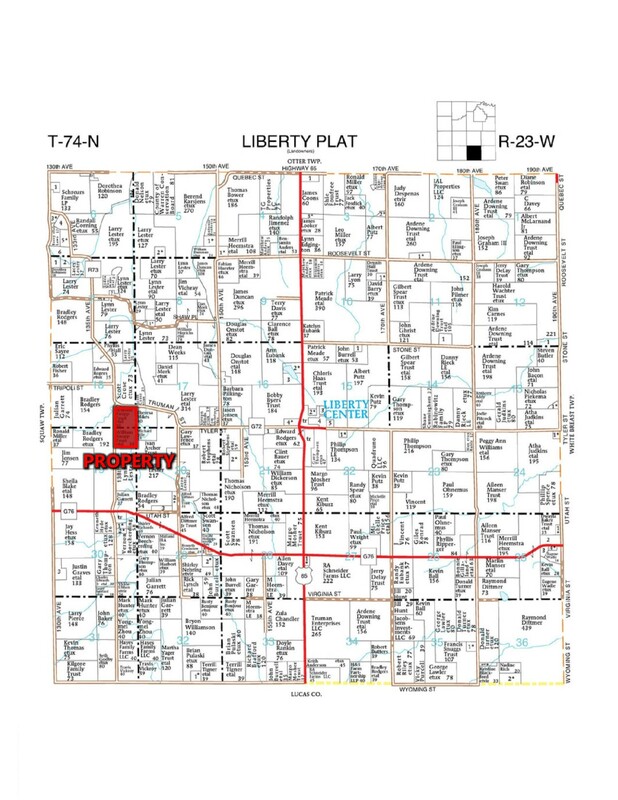 From Hwy 65 in Liberty Center, travel west on Tyler St roughly 2.5 miles (Tyler St will curve north then back west and become Truman St) to 138th Ave. Farm is located on the southeast corner of Truman St and 138th Ave.